Tuesday – Sunday Due to high volume and our desire to keep wait times at a minimum, we will no longer be accepting dinner reservations. Please do not call and attempt to make reservations. Sorry for any inconvenience this policy may present. Monday – Sunday Due to high volume and our desire to keep wait times at a minimum, we will no longer be accepting dinner reservations. Please do not call and attempt to make reservations. Sorry for any inconvenience this policy may present. We are sorry if these policies present any inconvenience to our patrons. 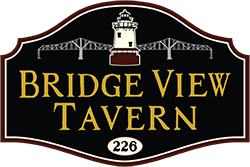 It is important to us that everyone has access to BVT and we do our best to keep the wait for tables reasonable . Due to the size of our dining rooms and our high volume of service it is impossible for us to accommodate large parties during our weekend dinner service. *Due to our high volume of service it is impossible for us to hold tables for parties that arrive late or incomplete. Please be on time. Thanks!